Sometimes, You want to remove your blog / site from Alexa Dashboard but you don't get how to Remove your Site Info from your Alexa Dashboard. 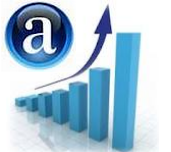 You can remove your site info and statistics easily you just need proper knowledge. Well for what we are, lets start this tutorial about "Removing Your Blog/Site From Alexa"
How To Remove Your Blog / Site From Aelxa ? Follow These Simple Steps ! 1. 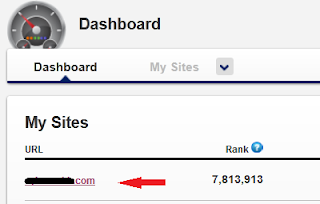 Go to Your Alexa Dashboard > Now Click the Site Name/ URL of the Site / Blog you want to remove. 2. 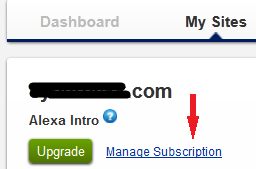 Now Click Manage Subscriptions. 3. 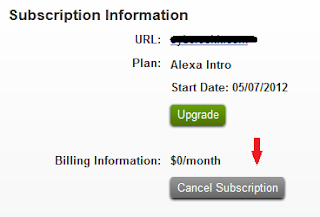 Now you will see "Cancel Subscription" click it and then you will get a message that "Confirm Cancel Subscription" say Yes. That's it you are done now, your Site / Blog is removed from Alexa. Don't Forget to share this post with your friends and Subscribe Us for More Upcoming Tricks !